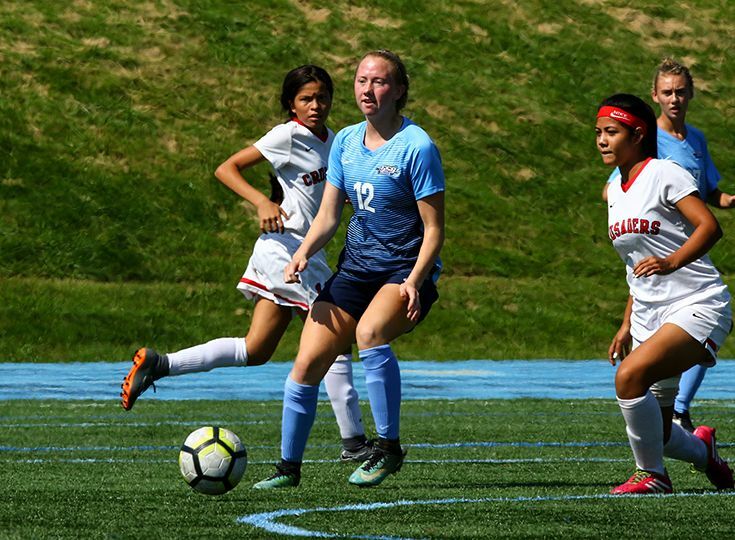 The girls’ soccer team won its first round of the Somerset County Tournament on September 29 as the ninth-seeded Knights took down 16th seeded Bound Brook 4-0. Teresa Zimmer ’20 had a huge day for Gill as she scored a hat trick to put the game out of reach. Tess Kelly ’22 also scored a goal, and Hayley Goldin ‘19 and Eve Ryan ‘19 each recorded an assist. The Knights’ next match in the tournament will be on October 6 when they take on eighth- seeded Franklin. Earlier in the week, Gill continued its fine conference play when the girls topped Belvidere 1-0 on September 27. Kelly scored the game-winning goal on an assist from Ava Kolb ‘20. The Knights have an 8-1 record and currently sit in second place in the Mountain Division standings.